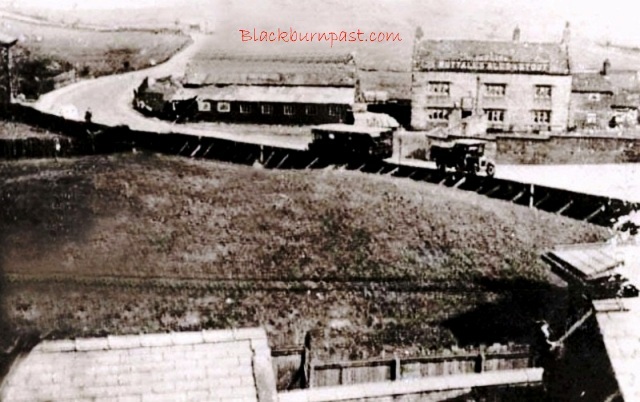 Taking a brief break from the Eddleston collection, here's a nice 1920's shot of the Red Lion at Whitebirk, with the road to Rishton winding away top left. 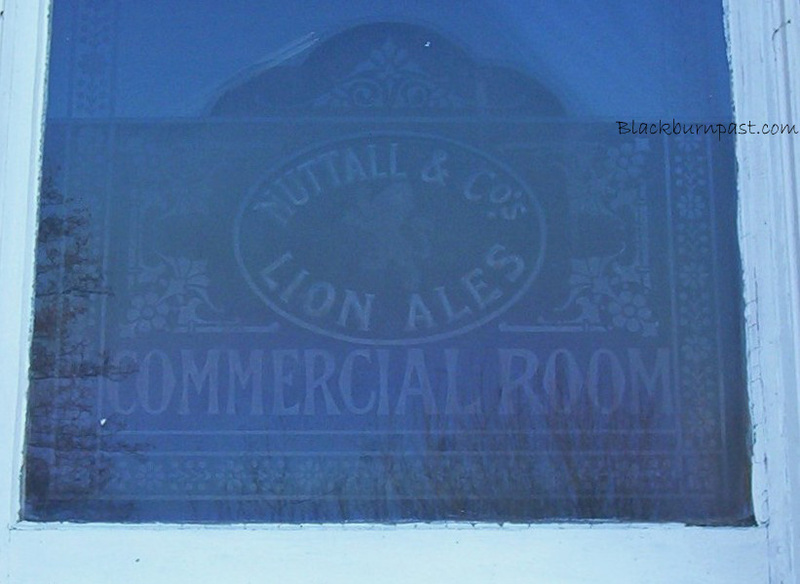 A little difficult to read, but note the ''Nuttall's Ales & Stout'' sign along the top of the pub. In fact that could quite feasibly be a Nuttall's dray driving away from the place (heading in the Blackburn direction), while the single decker bus behind it, heads off to Burnley or somewhere. A very old building, dating from circa 1680, the Red Lion was originally just a private residence and remained so until the early 19th century. 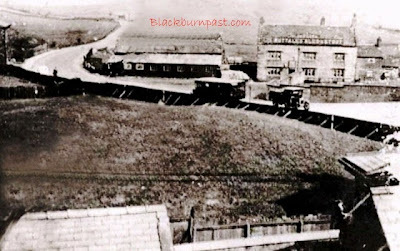 The building to the left of the pub and the ones at the other side of the road, were the premises of Davies Bros (horse dealers / slaughterers) as far as I can make out. In my 1925 directory, they appeared to own properties at either side of the pub, as well as dwellings in the close vicinity. 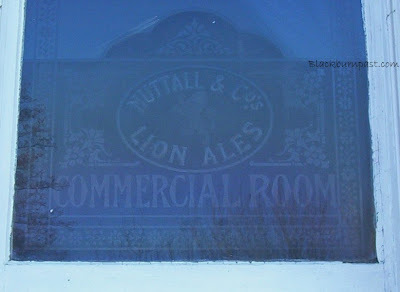 Below is a nice old pane of etched glass from Nuttall's. Not from the Red Lion, but from the Bowling Green Inn, in Darwen. A very rare sight these days and seeing as the Bowling Green has recently been refurbished, I doubt this pane is still in situ (I took the photo back in 2010). 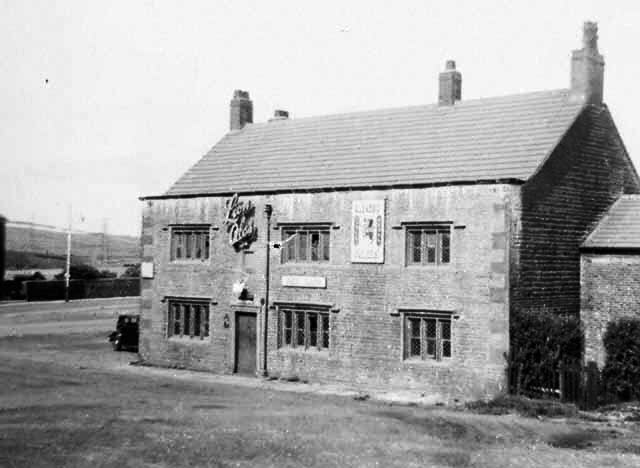 Below is a closer view of the Red Lion and by the time of this image, it was bearing the Lion Ales (Matthew Brown) signage, so got to be post 1927. Looking at the car just to the left of the pub, it's probably a photo from the 1940's or 50's. I was last in there, one Saturday afternoon about 12 months ago (summer 2012). It's still a nice pub and always worth a visit. Top photo and glass pane, courtesy of the CP collection. Bottom photo courtesy of Cottontown.org.